I’m pleased to announce the first plane carrying Syrian refugees arrives in Canada tomorrow at 9:15 pm ET. 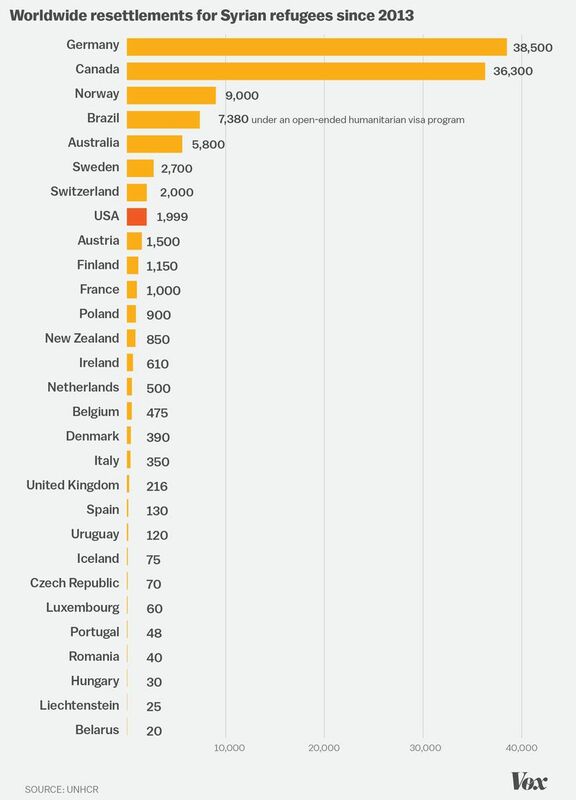 According to Vox, Canada has accepted over 36,000 Syrian refugees since 2013, with only Germany having taken in more. Considering Canada is an ocean away from Syria, this is quite impressive and makes me incredibly proud to be Canadian. It truly exemplifies our values and beliefs. Disgruntled Americans voiced their threats of heading north of the border on social media this week as the U.S. debates whether to open its doors to those fleeing the Syrian crisis. Personally, I think we shouldn’t tell them; they might just like it once they move. Welcome to Canada, eh.